Q. What is the textbook for my class? 2. Locate your class using the drop down box. 3. 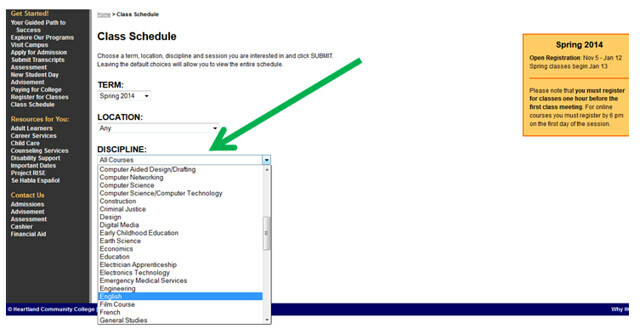 Locate the section you are registered for using the course section or the class time. 4. Click the Book Info link for your class section. 5. Required and suggested books are listed. Each book listing includes the book information and the cost to rent and buy at the Heartland Community College Bookstore (see example below). Please note the ISBN number. This is a UNIQUE number for the exact edition of the textbook so it is best to use the ISBN to search for the textbook. Sometimes when you pull up the textbook information, there may be a free e-book preview. This might be helpful if your book is back-ordered or late getting to you.